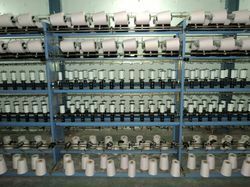 We are a leading Manufacturer of elastic yarn covering machine, spandex yarn covering machine and s and z covering machine from Surat, India. 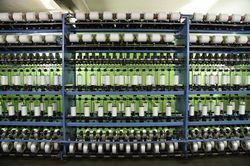 Elastic Yarn Covering Machine specially designed for fine denier lycra, spandex, latex rubber yarn. 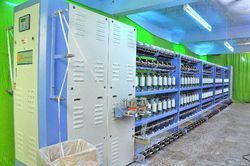 This product easily convertible from single to double covering and fully electronic machines with all the parameters set through touch screen panel.